National Football League Commissioner Roger Goodell spent nine hours meeting with social justice advocates in New Orleans on Tuesday, to find out just how the league could help promote social justice issues. Even as the NFL seems interested in putting an end to player protests during the national anthem, it is clear from Goodell’s participation in New Orleans that as an organization, the NFL is fully supporting the players and their social justice issues, according to USA Today. Goodell joined Saints linebacker Demario Davis, tight end Benjamin Watson, as well as Saints owner Gayle Benson and Saints president Dennis Lauscha, to talk to people involved in the criminal justice system in the Crescent City. The biggest topic was the cash bail system that detractors say puts people at risk of losing jobs, homes, and their children. The NFL chief attended without an entourage and made no public statements before or after the day’s discussions. However, he was seen earnestly listening to speakers, asking crucial questions about how the league could help highlight their issues, and taking copious notes. Norris Henderson, founder of Voice of the Experienced, Praised Goodell’s participation. Saints linebacker Demario Davis also praised Goodell’s attendance saying that his participation was an important show of support. “Not everybody understands why we’re out on the front lines of this,” Davis said to the commissioner. [Goodell] seemed to be particularly interested in the far-reaching impact cash bail has – if someone can’t pay their bail, they will likely lose their job, maybe their kids, despite not even being adjudicated yet – and the lack of resources for women who have been incarcerated. He shook his head and winced while hearing four men tell their stories of being wrongly convicted and serving two decades or more before being released. Indeed, with player advocates in the lead, material changes in state criminal justice systems have already happened in states such as Pennsylvania and Massachusetts. Louisiana is one of the next targets for the NFL Players Coalition. 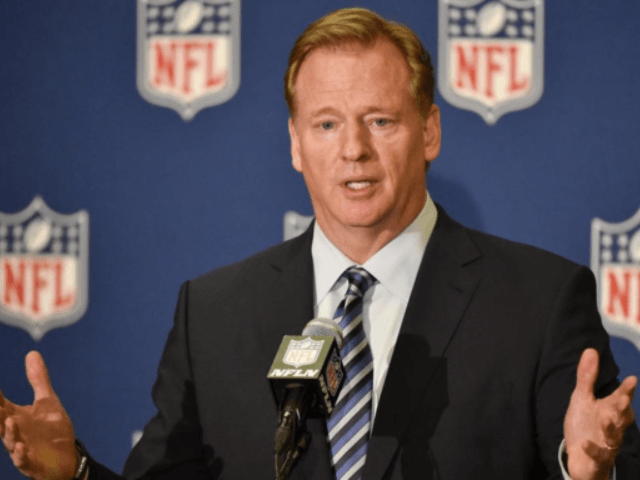 With Goodell’s participation, it appears that the $89 million the league promised to spend on social justice issues will not be a simple payoff to players to get them to stop protesting during the national anthem. Goodell’s attendance on Tuesday seems to signal that the league will do far more than just throw money at the players’ issues.